Striking the right balance between group and independent work isn’t easy. Most inventors and engineers I’ve met are like me—they’re shy and they live in their heads. They’re almost like artists. In fact, the very best of them are artists. And artists work best alone—best outside of corporate environments, best where they can control an invention’s design without a lot of people designing it for marketing or some other committee. What can Wozniak’s views tell us about teaching and about pushing introverts, who typically prefer to work alone, to collaborate? John Aime, assistant head of school at Santa Catalina School in Monterey, California, may have put it best. “It’s not whether teachers should have kids work alone or in groups,” he told me. “The point is that both methods of coming to some understanding about an unknown topic are valuable. One approach should not be emphasized to the exclusion of the other.” Still, I struggle to find the balance in my classroom. In my high school humanities classes, before each unit I distribute focus questions and focus terms for the students to respond to as a culminating assessment. I constantly encourage them to further their understanding, alone and in groups, by engaging with the text to connect overarching terms, concepts, and themes. When it comes to fostering creativity in the long term, Dr. Keith Sawyer, a leading scientific researcher in the field, echoes Bain and Aime. “The most effective creative process alternates between time in groups, collaboration, interaction and conversation, . . . [and] times of solitude, where something different happens cognitively in your brain,” says Sawyer, who in 2007 wrote one of the first major books on collaboration, Group Genius: The Creative Power of Collaboration. From speaking with Cain and Sawyer, I gather the trick is knowing your students as individual learners, and that includes knowing when to push and when to ease up. 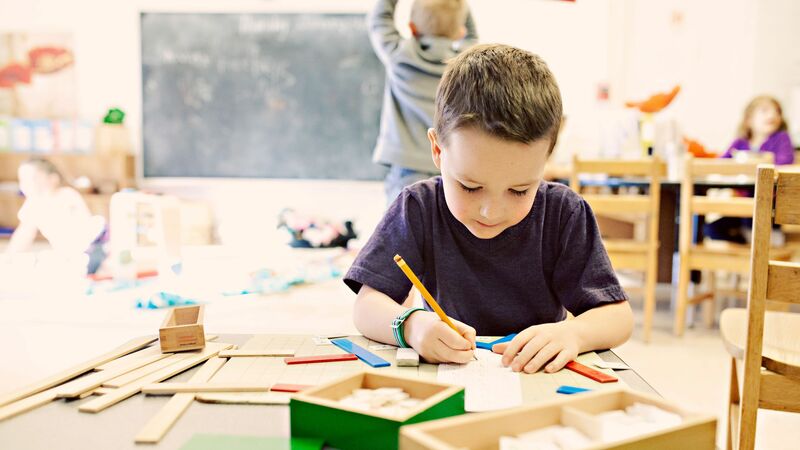 It involves hard work, differentiating instruction and assessment to appeal to a wide range of learners, and finding a way for introverts and extroverts to show what they can do with what they know. There is no one-size-fits-all approach. In my experience, all students, not just introverts, perform best when they sense intrinsic value in their pursuits. When assigning groups, I do my best to match students by shared interests. Last year, for instance, several of my introverted American history students worked diligently on an academic debate in which they passionately defended President Truman’s decision to use atomic warfare to end World War II. As advisor to The Gator, the student news site of Brimmer and May School in Massachusetts, I marvel at introverted student-reporters who work alongside others in numerous capacities, including brainstorming story ideas, reporting, writing, editing, and promoting their work. What sort of balance do you strike between group work and independent work? I would love to hear your thoughts in the comments section below.